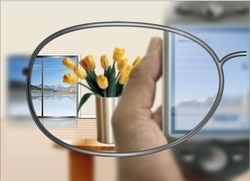 Single vision lenses can be for distance vision, reading and any other 1 specified distance inbetween. Whether you need just a pair for driving, for reading or for your favourite hobby such as sewing, we can adjust your prescription accordingly. All of our lenses are of the best quality and there are many options for the higher prescriptions including all the thinner lenses and coatings too.